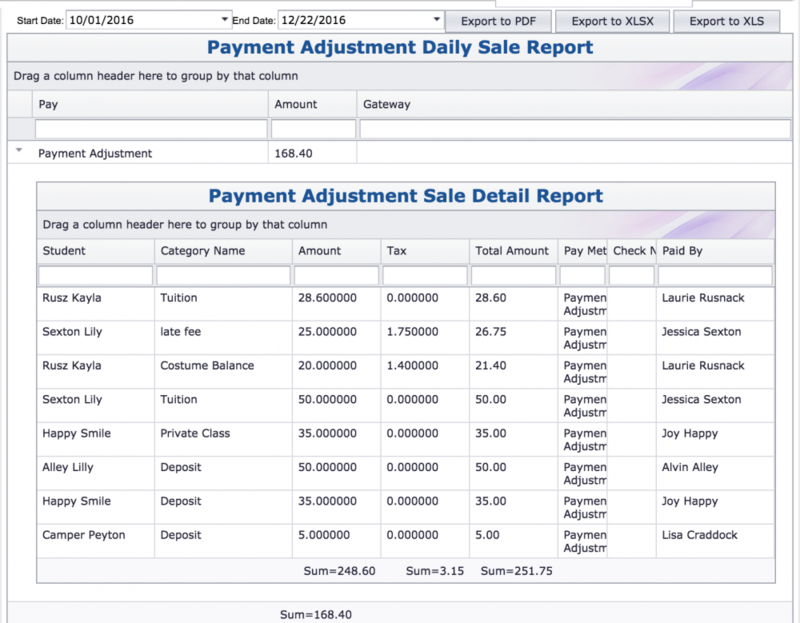 The “Sales Deposit Report” is an accounting of all credits applied from deposits. These are all considered “Payment Adjustments” as the money has already been accounted for when the money was first posted. Enter a date range and hit FIND. The results will be displayed below. To view the details, click the arrow to the right of the Payment Adjustment line.